St. Patrick’s Day is here, and at Soy of Life, we’re sharing the Luck of the Irish with you, offering a flash sale on your favorite Soy of Life products! We know the spring season is a time for rebirth, and there’s no reason that it can’t be a great time to renew your skin, too. The harsh winter weather and winds have taken their toll, and if your skin is feeling dry, crapped or cracked after the cold, dry months, this St. Patrick’s Day sale is the perfect time to get what you need for your springtime skin rejuvenation! During our sale, customers can save 17 percent on all orders of $50.00 or more from Tuesday March 14 through Friday, March 17! All you need to do is enter coupon code IRISHSPRING2017 at checkout, and your items will be discounted. If you’d rather save on shipping, use code FREESHIP at checkout for free shipping on orders of $50.00 or more (coupon codes cannot be combined). 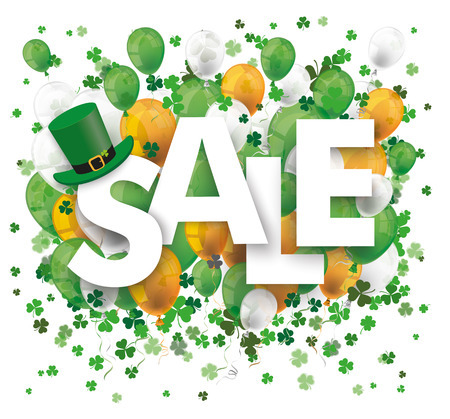 Get a jump on your revitalizing spring skin routine with this flash St. Patrick’s Day sale! The best products to use when you’re beginning a new skin regime are gentle and ultra-moisturizing, and that’s just what you’ll find in the line of soy-based natural skincare products at Soy of Life. For example, if you’re worried about signs of aging, pick up our Defying Time Serum, which works to smooth, tighten and lift your skin without any harsh chemicals or painful surgeries. Our Soysweet Dreams rejuvenating facial cream will take your tired, post-winter skin and make it look like new again! This ultra-hydrating cream works while you sleep to repair your skin’s barrier, improve its overall tone and texture, while boosting skin’s elasticity and erasing signs of rosacea. A few treatments with this cream and you’ll think all the damage from the winter season was just a dream! For a multi-purpose toner, pick up our Grace Your Face renewing two-in-one cleanser and toner. This gentle and unique aloe and herbal blend is enriched with vitamins and antioxidants to revive your skin. This toner also helps to re-balance your skin’s pH levels, which can be all out of whack after a harsh winter. No matter what kind of help your skin needs, the soy-based formulas in Soy of Life’s products can help. Let our selection be the pot of gold at the end of the winter season and save now with our St. Patrick’s Day sale. To learn more about any product or for help with your order, call Soy of Life today at 877-SOY-FOR-U.